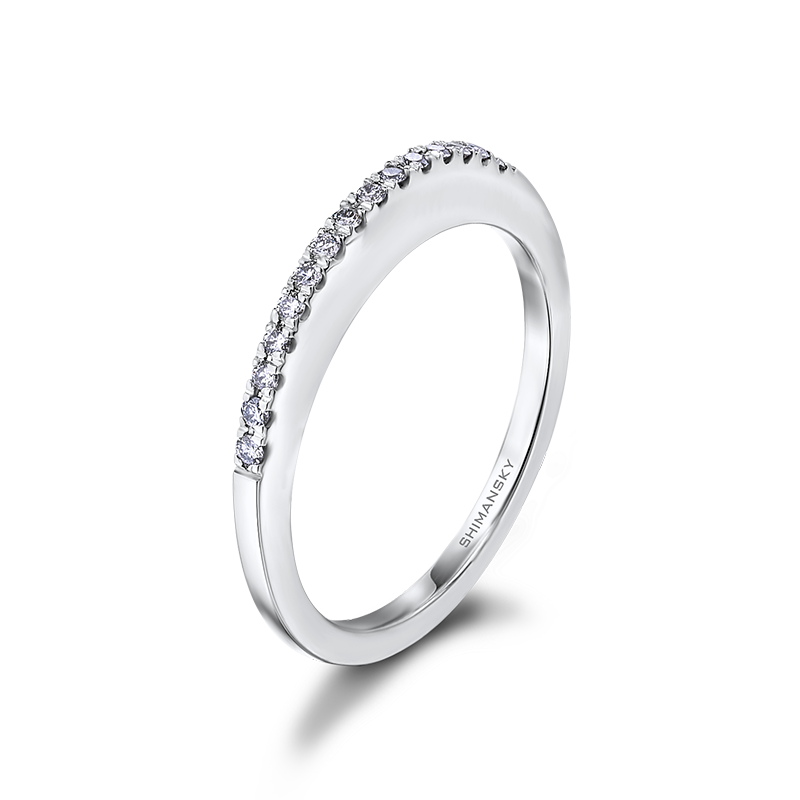 The Millennium wedding band shown is delicately set with micro set round diamonds weighing 0.11ct in total. Made to order, this micro set wedding band for her is expertly crafted to perfectly match the Millennium engagement ring profile. A sparkly enhancement and match for your Millennium Diamond Engagement Ring, the Millennium Micro Set Diamond Wedding Band adds beautiful detail to the set. 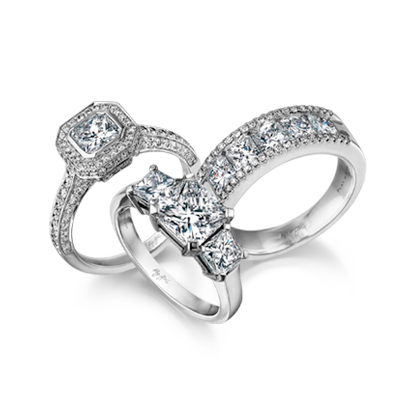 It fits flush with your Millennium Engagement Ring and beautifully complements your solitaire diamond. Acting as a symbol of the promises made on your wedding day, the wedding band signifies a life shared, and an eternity of happiness together. 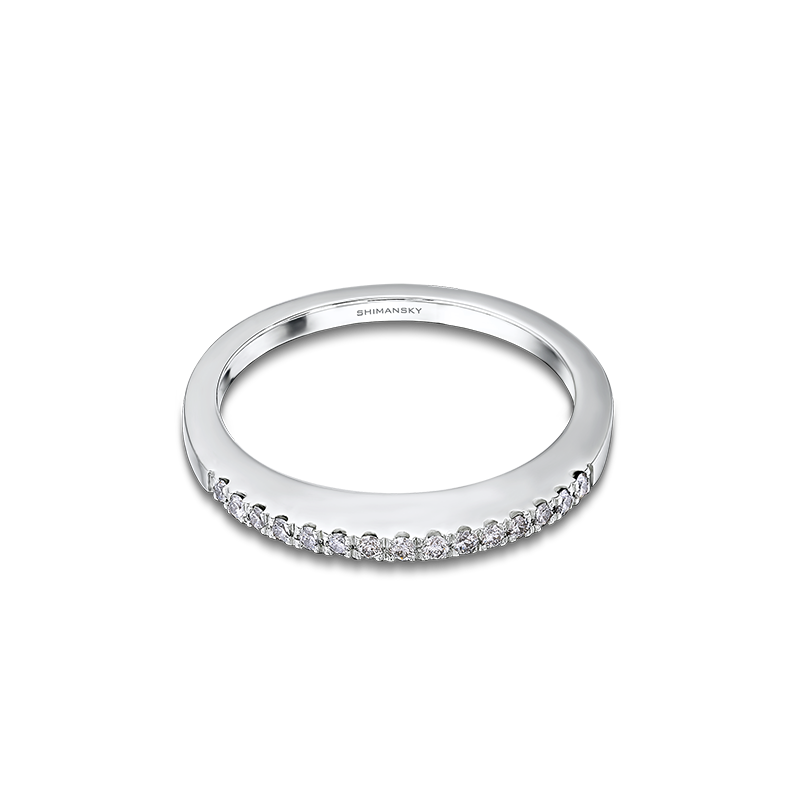 Simple yet sophisticated, this elegantly designed wedding band is a stunning testament to your love.